This is what we're up to this year. **This exciting class, 'Minecraft Space Program, is scheduled for 3:30-5:00 every Friday. More class times will be added as demand grows. Our Master map builder has spent hundreds of hours crafting an awesome experience for your children and is excited to lead them through special science-rich challenges in our virtual Minecraft world. It'll be a super fun way for your students to end each school week and a great reward or incentive for you, as parents, to entice them to do their best work throughout the week. Join the class list right away. The cost is only $75/month. *Ask for our concurrent student discount. All classes are due and payable up front to Cynthia Peel c/o Peel's Maker Studio unless otherwise noted. Pay for your class on the store page, please send a note with your email and your child's name. Some classes can be paid through VCI funds/ educational Charter School funds. 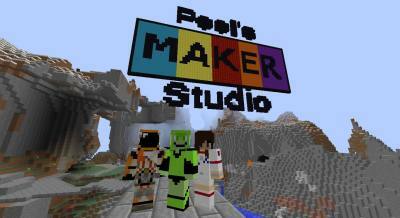 EXCITING ONLINE COURSE...Minecraft Space Program! This course will be a super exciting and fun way to explore some of the planets in our solar system and their moons. Each Friday during the course the children will be invited into a virtual Minecraft world that has been specially designed to look just like the one we are studying. They will be lead through guided information tours and will be given fun and engaging team and individual building challenges. The specially designed locations will include: NASA Space Center on Earth, Mars, Saturn’s moon Titan, and the Tranquility base of the Moon. Each location will be authentic replicas and have virtual-life size replicas of rockets, habitats, rovers, etc. The moderator will give a history of NASA missions and a scientific description related to each location. The children will be allowed time to roam and discover and play as they learn in this creative environment. What an engaging way to learn! (Pre-requisite: Children must have their own Minecraft account to access the program.) This is a weekly course that will repeats throughout the year with new locations and new challenges. The cost is $75/month per student. Late registration ok, cost will be adjusted to prorate for add in dates or make up classes will be offered. 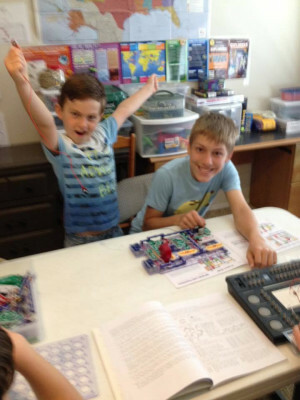 a super fun and engaging after school elective that will lead students to new discoveries in various areas of Science, Technology, Engineering, Art, and Mathematics. We cultivate creativity, curiosity, confidence, courage, and collaborative learning. We make learning fun! In this elective, students become creative MAKERS and INNOVATORS. They’ll actively discover how things work and become better problem solvers. They’ll create Science and Engineering projects. We’ll also experiment with gyros, gears, robots, remote controls, simple machines, Legos, K'nex, Zoobs, magnets, Magformers, wood planks, and much more. Students will also learn electronics with Squishy and Snap Circuits, making their own creations light up, move, sing, and even fly! Come create and be amazed at what they can make with our help! We are currently at both Inland Leaders Charter School campuses. This electives is full of fun and engaging Science based activities that will inspire students in Robotics, Electronics, the Sciences, Design and Engineering. In this elective, children will be given the chance to become creative makers and innovators. They’ll actively discover how things work by building and working with the materials with their own hands. 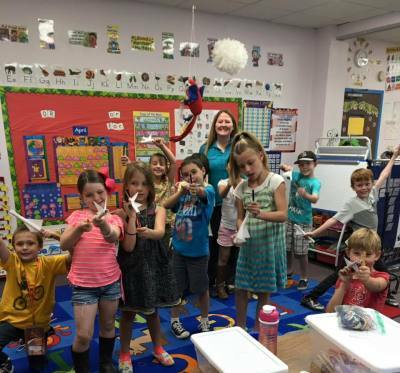 Students remember what they’ve learned when you involve them in the creative process and they enjoy learning the most with hands-on making activities! This is a 6 week course that will repeat again in 5 sessions through the year with new science activities and new engineering challenges. The Thursday class will be for the older elementary, middle school, and high school students. Join in our Friday STEAM + Enrichment class from 9:30-11:30am and 12:30-2:30pm. The cost is $210 per student for 6-2 hour classes. Each week we will have new, fun hands on STEAM projects that made us famous, like chemistry, electronics, physics of motion, etc. We will have some exciting games and engaging group and individual engineering and building projects. It's a great way to inspire your student in all the areas of STEAM! (Science, Technology, Engineering, Arts, and Mathematics.) This class is appropriate for ages TK through 5th grade. Purchase orders are welcomed and accepted from Gorman, Sage Oak, Inspire, and Sky Mountain Charter Schools. This will be the coolest club in the area! We will be using the programmable Makeblock mbots and Rangers, Spheros, Spyder drones, Lego Mindstorms, Microduino, T&K Robotics, and other Arduino based robotics. We will be building robots and learning to code them. Based on the club’s goals that we’ll make together in the first month, we will enter into competitions. We may even have guest speakers from the So CA Robotics Society stop in from time to time to show off the latest tech. It will cost $175/month to participate. All materials will be provided. Most appropriate ages are 10-17 yrs old. Other ages will be considered on a case by case basis. We will break into age groups if club grows large enough. While we compile a waiting list of interested participants, students are encouraged to join the Thursday private class. We will be doing a lot of robotics in that class along with our other STEAM activities. See our YouTube Channel and Facebook Page!